The Law Commission has unveiled proposals that it claims could stop property fraudsters in theirb tracks and improve conveyancing at the same time. The Commission, an independent body, claims that HM Land Registry has had to fork out almost £60m over the past decade in indemnity payments because of fraud, which could have been avoided - or at least minimised - by its proposals. Central to the measures is the objective to have effective land registration law which minimises disputes and uncertainty as to the accuracy of a register. The Law Commission says 85 per cent of land in England and Wales is now registered, amounting to 25 million titles; the remaining 15 per cent will be registered at the latest the next time it is sold or otherwise transferred. But the Commission insists that a long-term increase in incidents of fraud relating to registered land, changes to the way mortgages and properties are transacted since the downturn in 2008, and the advent of rapidly-changing new technology means the register requires further updating. - bringing mines and minerals onto the register. “The Land Registration Act was a huge leap forward in land ownership, but 15 years on it needs to be refreshed to adapt it to the modern world and make things as efficient as possible” explains Law Commissioner Professor Nick Hopkins. The Commission has drawn up a draft Bill for the measures ahead of a campaign. Poll: Would these measures make conveyancing faster? At first glance I cannot see these measures making conveyancing quicker. More rules, red tape and bureaucracy being imposed on the conveyancer is the last thing we need right now. Conveyancers already jump through more hoops than the show dogs at Crufts. Needs careful consideration and implementation. Has anyone actually analysed where the delays and roadblocks are in conveyancing? Seems to me that people just guess at this stuff. Implementing electronic working is such a woolly term and given the quality of technology implementations that we come across, not really sure that this is going to fix anything. The solution starts with understanding the problem and no-one can be bothered to try because frankly it's too unpalatable. What's the real issue being raised in this article? 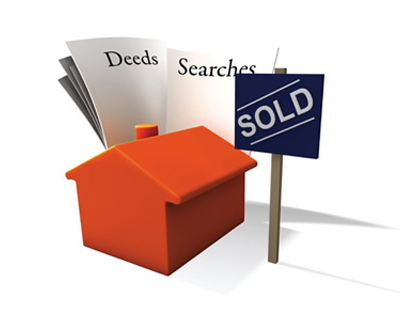 Property fraud or quicker conveyancing as they don't always go hand in hand? HM Land Registry is working on a fully digital register and other digital services that should make conveyancing quicker and more secure but these changes are going to take time. There is no magic wand, all we can do is assist them where possible, to make sure any changes to the process, will actually make a difference.